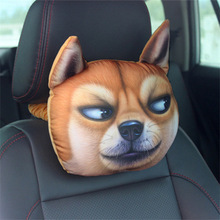 Attention: This product is no filled, only the car pillowcases, does not contain filler cotton. Good product. Good store. Recommend. Great! 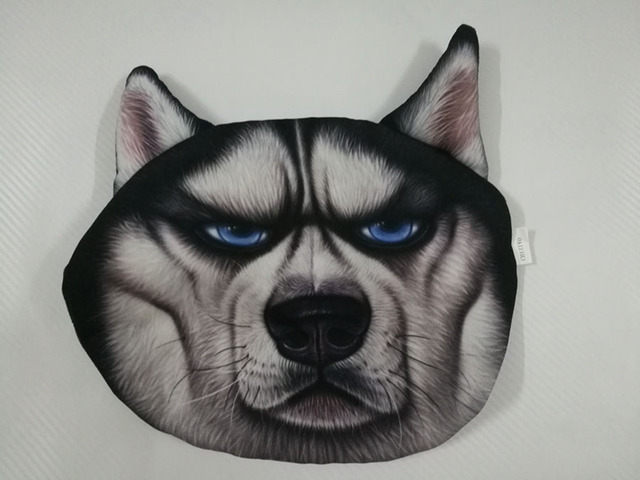 Pillow super! Delivery less than two weeks. 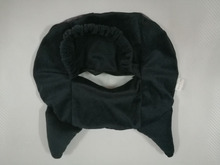 Super quality, fleece base front 3d print. The store with the shipment did not pull, the delivery is moderately fast! The only negative is that it's still not a pillow case and a pillowcase, it goes without a filler, but for me it's not critical! Fast delivery, the store 5 stars. 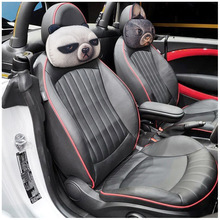 all as in the description, you only need to synthepon find and fill, by the way, the ears are already filled, so that i will gut the pillow to update in the car! The product is satisfied. everything looks like in the picture. All as in the photo! The quality is very good, it came two weeks before moscow, but keep in mind that this is just a cover, you will need another filler. 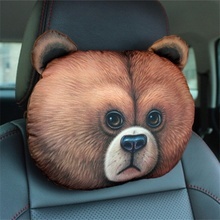 And so very satisfied, the pillow is cool, in the car it looks like it is necessary, thank you very much to the store! Super, i like it. The pillow is not crooked, the stuffing is just a little at hand turned out. Zamovlennya came duzha shvidko to 2 types, the most pillows of the fabric. Definitely recommend! High quality product! I order not the first time. I advise everyone! Shipping about 30 days, the store sent the goods promptly! Pillows are cool. I think i'll order another car. Super cool and soft pillowcases, fill in blue and will be cool! Thank you very much. Look better than in the photo! A worthy thing for your money. As soon as i take a photo, i will add a review. Seller recommend!!! Everything came quickly, in about 2,5 weeks to ukraine. классные качественные подушки!!! прикольно и весело, со стороны - водитель зверь! в машине всегда кто-то есть! Very Good ! Fast ! Thx! 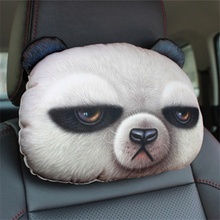 Grumpy panda is my totem animal that is very good! все отлично, пришло быстро, на набивку ушло по 100г синтепона на каждую морду. сзади молния, через отверстие набивать. Пришли за 3 недели в Екатеринбург. Материал качественный, нитки не торчат, все аккуратно. Набил синтепухом, все отлично. Only a seat cover. Must fill yourself with stuffing. Cute though! Шло в Сибирь с 26 августа - получено 20 сентября. Упаковано в простой пакетик. Сшито аккуратно, нитки нигде не торчат, принт хорошего качества. Набил холлофайбером. Ушки стоят, только если плотно набито. Молния хлипенькая, нужно аккуратно пользоваться. Отличный чехлы! Пришли очень быстро, качеством очень довольны))) продавца рекомендую! Классная!!! очень довольна товаром! продавцу спасибо!